Zig was one of the greatest sales coaches who ever lived and he could be pretty damn wise. I love the deep truth here, both personally and professionally. Some clients need counseling and some need pushing, some need encouragement and some need hand holding, but all clients need (deserve) gratitude. In every instance they have trusted us with a piece of their future. They have placed some portion of their company’s resources in our hands and asked us to help them be better. The circle starts with trust. It moves forward with action. It ends with gratitude. This year we had some clients who allowed us to push courageous ideas to the forefront. That took some real trust. We were grateful for their willingness to push outside of their comfort zone and break new ground. The launch of Funner was a huge leap of faith for our Harrah’s Resort Southern California clients. Rename the land the property sits on and get David Hasselhoff to be the mayor? Sure, why not?! And, as so often happens with courageous endeavors, it has paid off. Thankfully! When we told Father Joe’s Village that it was time to speak to a new audience, make an animated short-form film and break with their established marketing plans, that took some trust (and maybe some prayer thrown in for good measure!). And again, the courageous path is working. What happens when you pitch a crazy, never-been-done-before idea to a prospect that involves testing influencer’s DNA and the prospect becomes a client and says “Let’s do that!”? You end up with our work for Curio Hotels. It did indeed involve DNA testing, creation of a consumer-facing test and a whole lot of courage. Sometimes you just have to give thanks for clients who are willing to jump off a cliff because it just looks so good out there. One of our values at i.d.e.a. is to Serve Our Clients Gratefully. As we head towards Thanksgiving Day, we are reminded of the power that gratitude plays in all our lives. 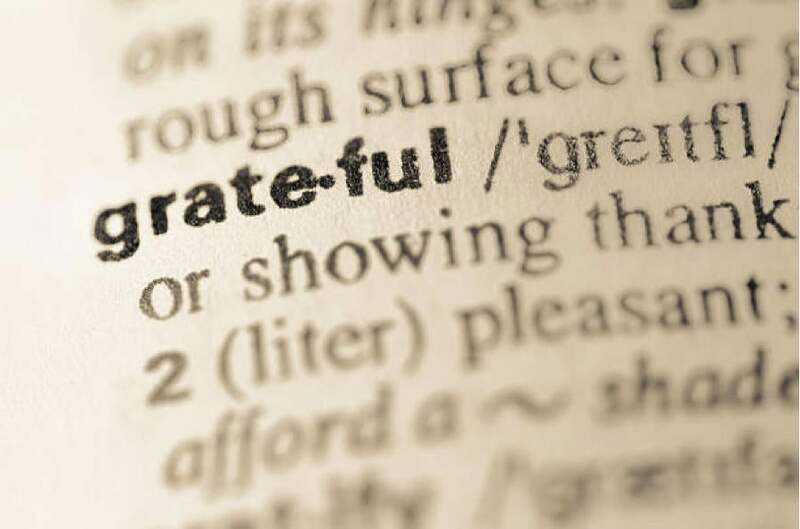 Being grateful isn’t just for your personal life. Try it at work. Send thank you notes. Or a thoughtful gift. Or a link to something you know that person is interested in. Or an email just to say “I got your back”. Gratitude can be expressed in so many ways and in my experience, it is never a wasted effort.